We work with Co-op’s Distribution Centres (DCs), ensuring edible chilled & ambient surplus is fed to people in need instead of going to waste. In the first year of operating a new FareShare process, Co-op provided over 1 million meals to frontline charities in communities all over the UK. Before 2015 when a new FareShare process was implemented, Co-op worked with our Regional Centres informally at only a few of their DCs. 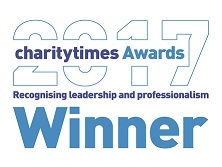 This meant that the methods in place for identifying, segregating and delivering surplus to FareShare were ad-hoc, inconsistent and manual, relying heavily on individual employees’ good will to make it happen rather than being built into everyday processes. This meant that not all DCs were participating and not all edible surplus was redistributed. Co-op wanted to do more to redistribute edible surplus food, but they required a simple, easy and consistent process for getting it to us – one which could be implemented across the entire UK-wide distribution network with as little disruption as possible. It had to be as easy to ‘FareShare’ surplus food as it was to dispose of it. Any new process also had to dovetail with their new stock picking system & IT platform, whilst having no impact on Co-op’s store orders or wastage. A project group at Castlewood involved a wide range of key stakeholders including warehouse staff from Goods In & Goods Out, stock control & admin, IT, logistics and transport, supply chain, commercial right through to key staff from FareShare Yorkshire.FareShare also worked with Co-op to ensure suppliers were as engaged as possible in the new initiative. Co-op wrote to all of its suppliers to make them aware of FareShare as their preferred partner for surplus redistribution, notifying them all about the new redistribution scheme. 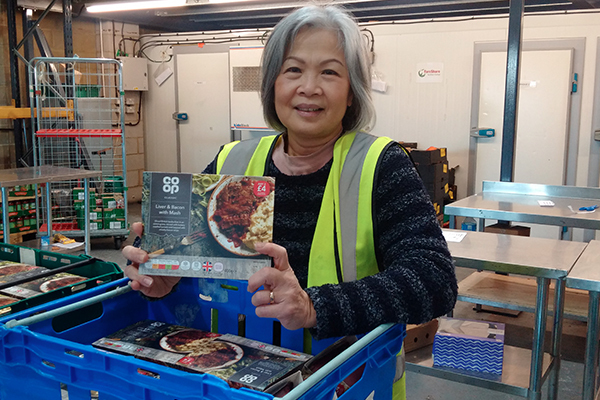 This has helped Co-op and FareShare put edible fresh surplus from suppliers to good use, helping to provide over a million nutritious meals for those in need. The process at Castlewood was highly successful. After three months of testing and refining at Castlewood DC, the new process was rolled out across all Co-op DCs on 14 September 2015. 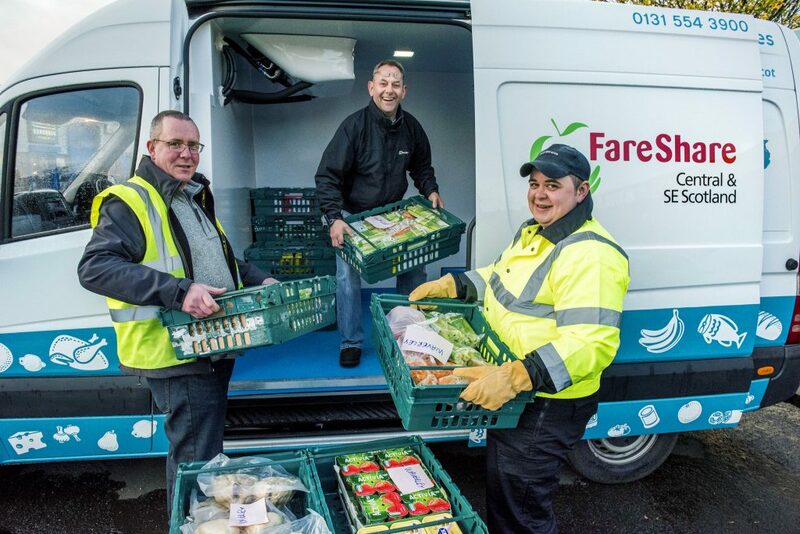 In September 2015 alone, FareShare received 50 tonnes of good quality surplus food from Co-op, ten times the amount received in September 2014 before rolling out the new process. 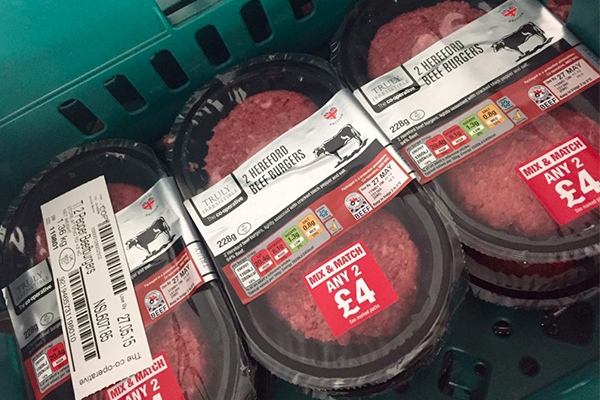 In addition, on 13th November 2015, Co-op announced the roll out of the project to Scotland. 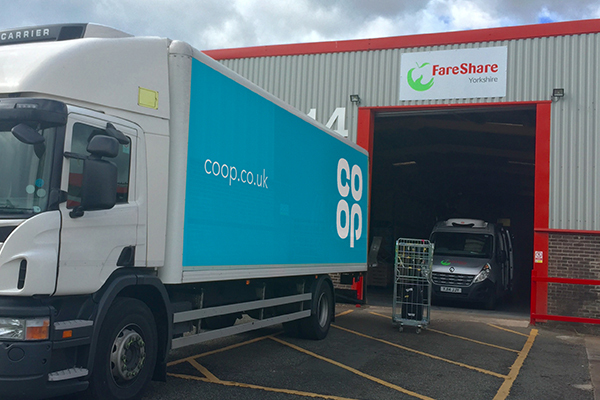 FareShare now receives regular and scheduled deliveries from all of Co-op’s DCs, supplying a range of good quality chilled food items such as yoghurt, meat, fruit, vegetables and ready meals. As of May 2016, FareShare has also begun to receive surplus ambient products from Co-op’s distribution network, providing another valuable category of quality surplus food. In 2016, just over a year after the rollout began, Co-op distributed 494 tonnes of surplus food to FareShare, which has provided over 1 million meals for vulnerable people across the country. The number of charities and community groups that received Co-op food through FareShare in 2016 was 1,094, and includes children’s breakfast and after school clubs, youth centres, hostels and supported housing for people suffering from homelessness, community cafes, older people’s services to tackle social isolation, food banks, and family and children’s centres.